Watauga Kayak is the Only locally Owned and Operated Outfitter on Watauga River. The First Outfitter on The Banks of Watauga River to Have A Full Service Facility. We have the best prices and the longest rides year round without gimmicks. One of the Best Rafting Trips in Boone, NC & East Tennessee. Best whitewater rafting in Boone/Banner Elk why ride a bus from Banner Elk, Boone, Blowing Rock, North Carolina for an hour since you are coming to Raft in Elizabethton, drive and save money and time you-will not-regret-it. Let us take care of you and your small children, we will give your kids a Fun Rafting Adventure to remember. We can customize all of our rafting trip to meet a worried mothers approval. We can avoid the larger river rapids or hit them for a bigger splash. If your child is a little apprehensive we can take our time to make their raft trip fun and free from fear. Tennessee White Water Rafting with trained guides certified in CPR/First Aid is in each raft. 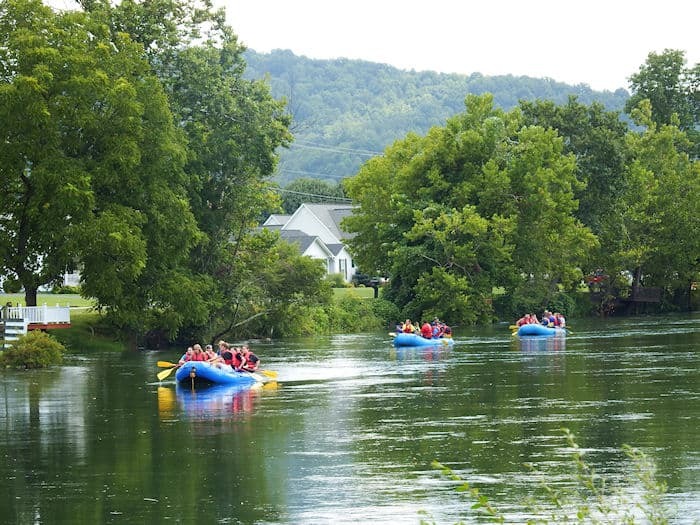 River rafting in Tennessee and rafting in North Carolina is fun for the entire family. Kids love the high country & low country rafting with no long bus rides. Looking for Blowing Rock NC things to do, Boone things to do we are close to your location. The Tri-Cities closest rafting company come and play on the water with us. We have a private swimming and wade area just for kids to play during our snack time. This is a great river trip for adults wishing to view the beautiful mountain scenery, wildlife, and wildflowers along the river without fear. We Float in a large raft no fear of rapids or falling in this is a relaxing experience to enjoy the beauty of Watauga River. We have a great river sightseeing trip for you with a trained guide in every raft. Plan an adventure you will be talking about for months.. Explore this ECO system for many wild flowers, and aquatic foliage. Things to do around Boone nothing like a relaxing river trip. Mountain and river adventures you're never to old to experience the outdoors. High Country rafting adventures just float along the river bank to enjoy the incredible scenery. Try something new this year, my 94 year old grandmother did it and loved it, so can you. A wonderful outdoor adventure designed to meet your needs. Two beautiful lakes Watauga and Wilbur to paddle depending upon your paddling needs and desires. 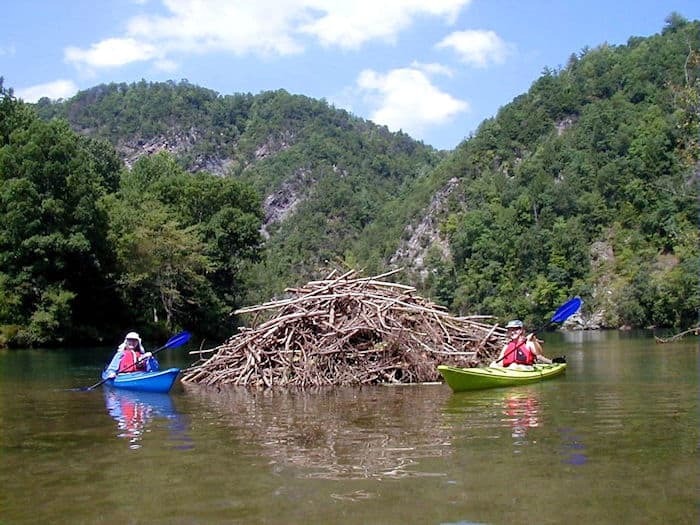 Let Watauga Kayak guide you around every corner to see the beautiful scenery, wildlife, and wildflowers, hidden waterfall, beaver lodge, and many unexpected treats. A wonderful kayaking experience Watauga Lake TN is in the top ten cleanest lakes in the country. Interested in Paddle Boarding and Sea Doo Guided Trips on Watauga Lake try Off the Grid Adventures. White Water Kayaking or gentle river kayaking we have several guided river kayak trips on Watauga River, and other nearby rivers for your kayaking needs. Whitewater Kayaking In North Carolina Experience river kayak introduction to river paddling no experience necessary We paddle in Tennessee, NC, and VA. We have trips for people with no experience, and other trips that will be great for the thrill seeker. We have the best Whitewater Kayaking In Tennessee and North Carolina prices on the river Low water or high water we have a kayak adventure for you. An incredible cave adventure year round, cave exploration underneath the earth in one of the oldest and largest caves in Tennessee. The temperature is the same year round, and the weather does not matter with spectacular formations to see and explore . Come play with Watauga Kayak providing a trained caving guide and all the top of the line equipment for your caving experience. Morrel Cave said to be over 100,000 yr. old. Cave exploring at it's best. Safety is our Number one priority having fun is our next. River rafting aka Whitewater rafting is a fun and exciting way to spend the day with friends and family. We are all about rafting trying to make your experience a day to remember. Our white water adventures, river rafting, river float trip gives you the best of what Watauga River offers. White water rafting in NC, Whitewater Rafting In TN we located near you. Many trips are available for your interest and ability. Lake kayaking, river kayaking, cave exploration, and white water river rafting is our business and we want you to have the best time on Watauga River that you will come back year after year. 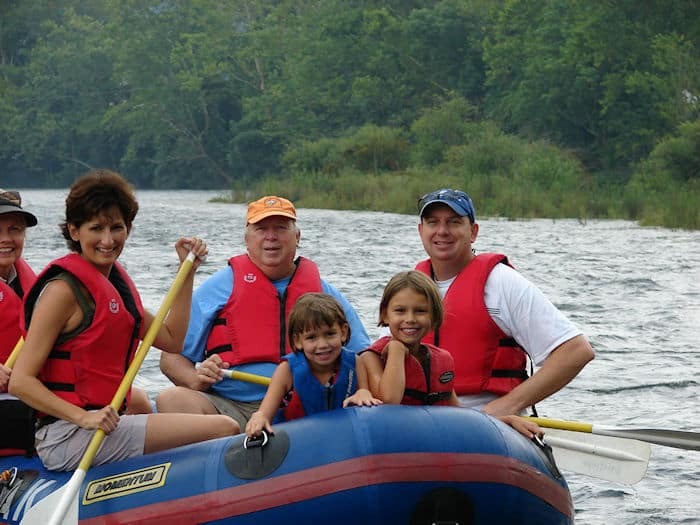 A great outdoor adventure Whitewater Rafting In Tennessee for all family members with Watauga Kayak. Rafting the anaconda on beautiful River Watauga is a summer time must. You will hear customers laughing and yelling wahoos coming down the Watauga River. If you are camping near Boone NC, Blowing Rock NC, or Bristol Virginia rafting and kayaking is close by. Whitewater rafting Bristol Southwest Virginia, Southwest Kentucky, Western North Carolina, Northeast Tennessee where we have many race fans to visit us each year for a fun outdoor rafting adventure. NC white water rafting is on Watauga River a class I & II+ white water river.